Kate Di Prima - Dietitian: We don't have to like everything!! We don't have to like everything!! I had a lovely mother and her little 3 year old in to see me today. She was concerned that her daughter was becoming fussy and needed to 'nip it in the bud'. Having looked at her intake he was having a wonderful variety of foods and textures however flatly refused broccoli, cauliflower, brussel spouts and cabbage. She brought in a container of brussel sprouts to show me her reaction. The lid was removed and I swear I was waiting for the gas masks to fall from the ceiling. It would have to be one of the most unappealing smells i have been privy to for some time. Mum even agreed. This leads me to the point that kids and adults don't have to like every food put in front of them. Variety means just that...a varied choice. Any hints on jazzing up the old Brussel Sprout would be greatly appreciated? 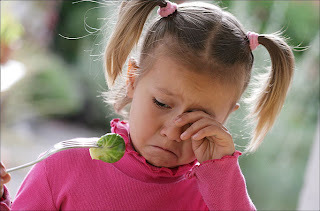 Funny that your blog is on brussel sprouts today, my eldest son turned 9 on Tuesday and when I asked him what he wanted for dinner he asked to try brussel sprouts. I had to ask the lady who owns the fruit shop the best way to cook them...dob of butter he ate them all..and of course I went out of my comfort zone to eat them with him. The butter wasn't the healthy option but Happy Birthday Robert! Great post, I am constantly struggling to get my almost 4year old to even try things. It is good to be reminded they don't need to like everything.